It is Field Effect Transistor node. 5 stages of field effect transistor are used in cascading mode to boast the RF signal. Very high sensitive photodiode is used for conversion. 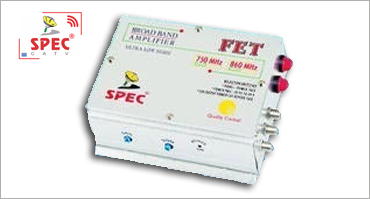 FET has very high input impedance and low output impedance. So it produces very less noise. Different kind of chassis (metal & aluminum) is used according to requirement.